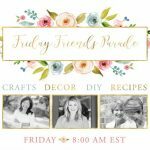 Welcome to the launch party for Friday Friends Parade! This is a link up party hosted Julie & Me and our two besties, Janine Happy Happy Nester and Ashley Modern Glam Home. This Linky Party is for anyone who would like to share their Crafts, decor, DIY and recipes! 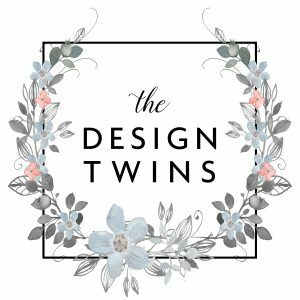 We wanted to start this forum where you can get inspired, meet new friends, and show off your projects and posts! 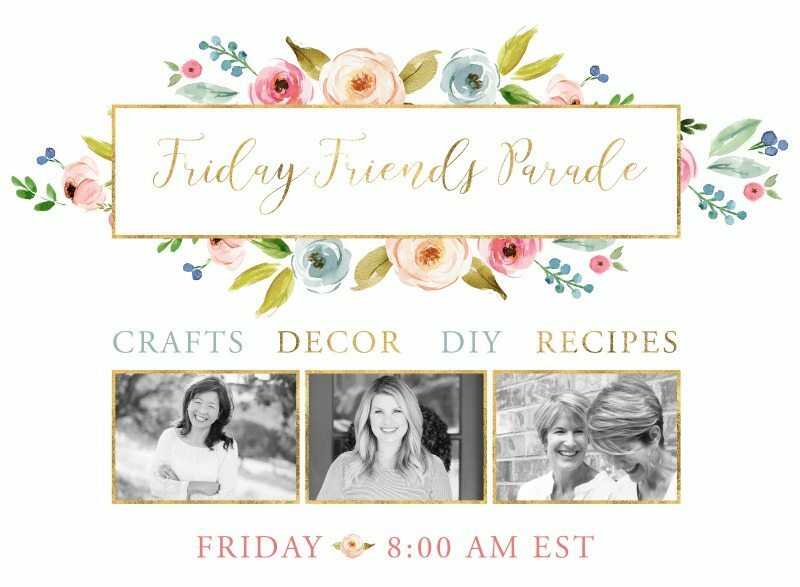 We are so excited to get the parade started and hope you will join us every week Friday morning through Monday night to share your favorite projects with us! Then, each week we will each feature our favorites from YOU in next week’s post! Friday Friends, What I’ve been up to this week! This week has been all about ushering in spring! Yes, I know it’s a bit early for most, but when the rains start in Northern California and everything starts turning green outside it’s hard to resist. 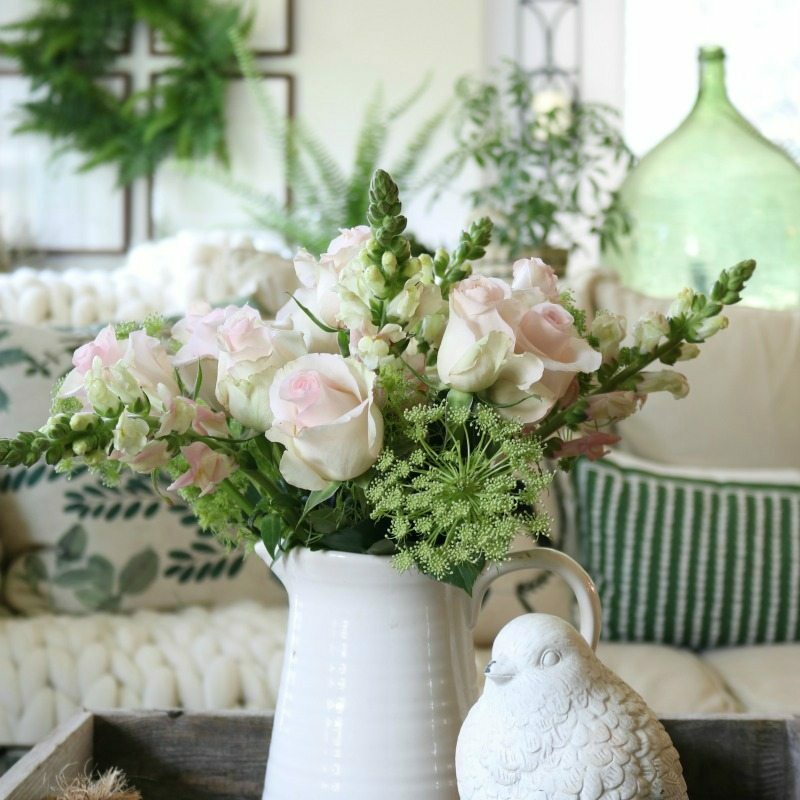 Maybe some of my early decorating will give you spring fever or give you some ideas for spring decorating when the moment feels right for YOU! 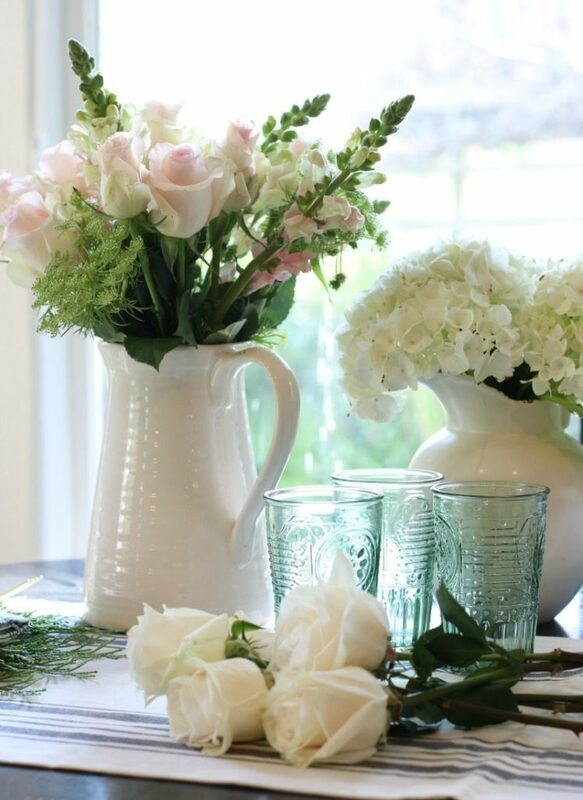 How do you decorate for spring? For me it’s easy, beginning first by choosing a color palette. As you can see I chose one main color: GREEN! Other colors may be added as the season evolves, but for now I am loving the simplicity of one main color. 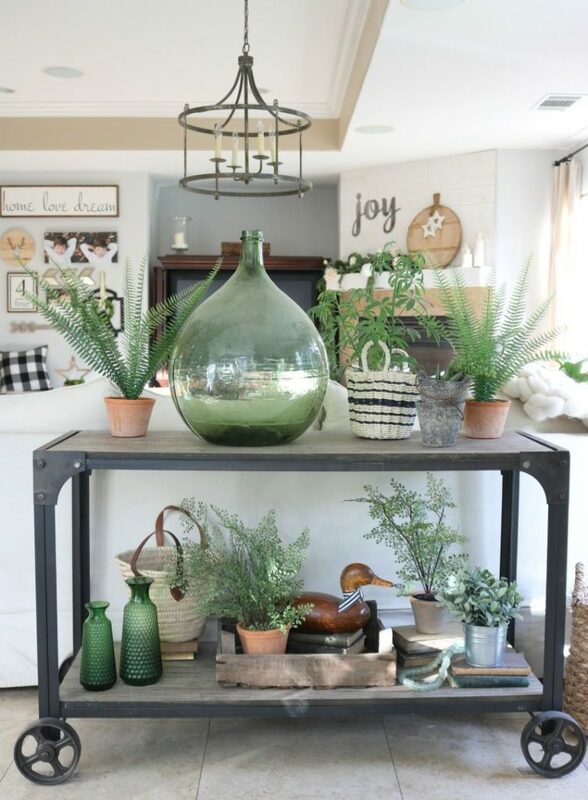 I chose a handful of real plants and faux plants to literally bring my spaces to life, happily mixing them just to keep you guessing! 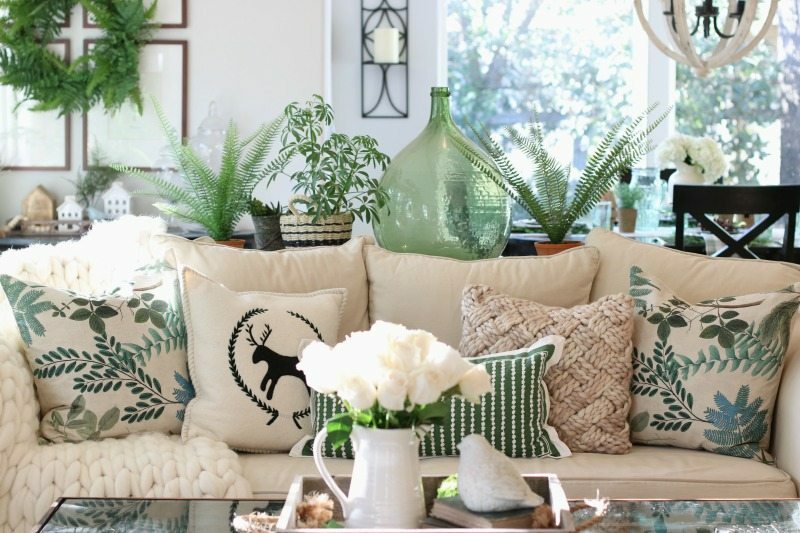 Fresh pillows continue both the color palette and the plant theme. And a new spring wreath adds a similar pop to the wall. 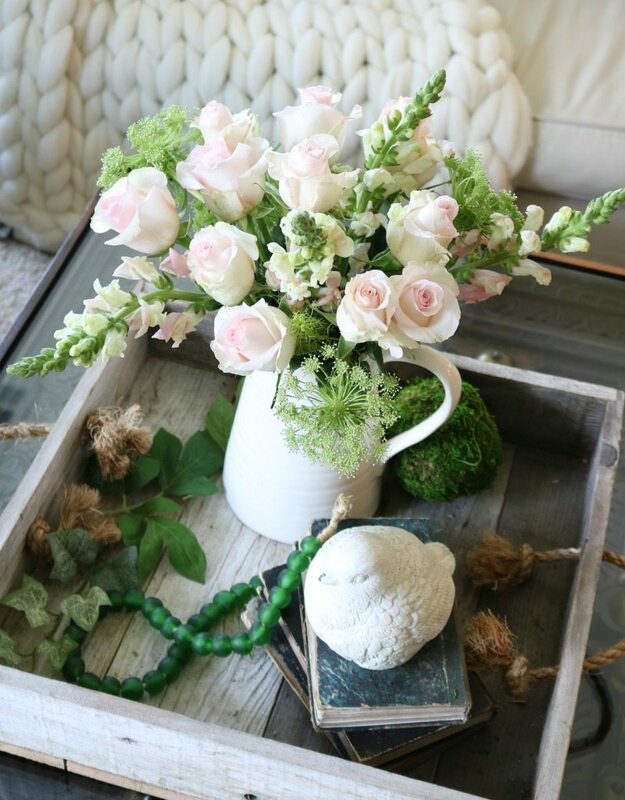 I like to mix vintage finds with modern details….cottage style with industrial chic. I don’t follow rules or formulas. 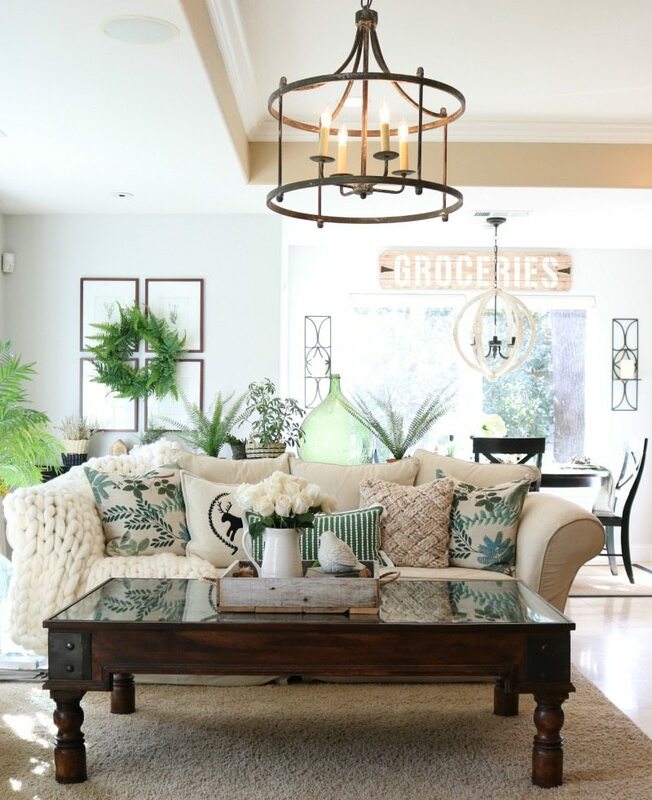 It’s all about creating a space that reflects my own unique vibe! And did I mention fresh flowers?? I’ve gotta have fresh flowers! 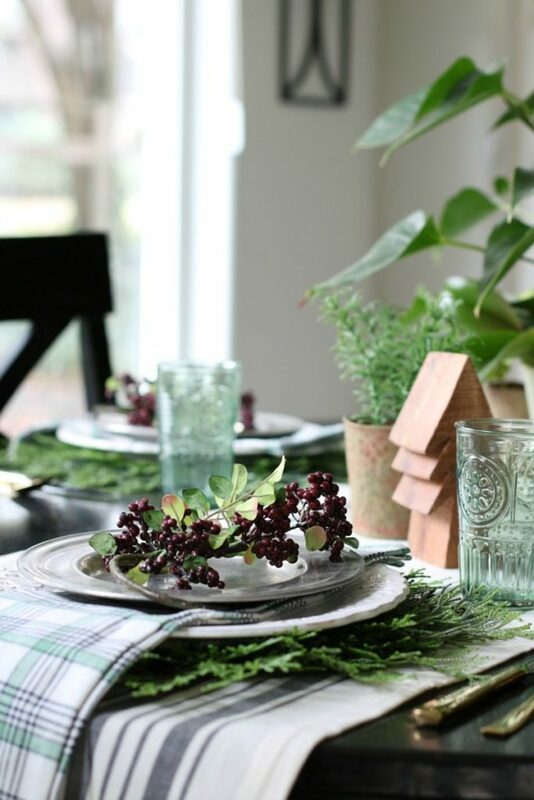 The kitchen table gets a fresh new look with plaid napkins in navy and green and vintage style glasses and water pitcher that echo my green mood. I hope these photos have put you in the mood for spring! You may be feeling the cold where you are. But it’s never too early to start planning. I find joy in looking forward to what’s next! Even if it doesn’t feel like it, spring will be here before you know it! We also published some inspiring and motivating new blog posts (if we do say so ourselves!!) since the new year that we don’t want you to miss! 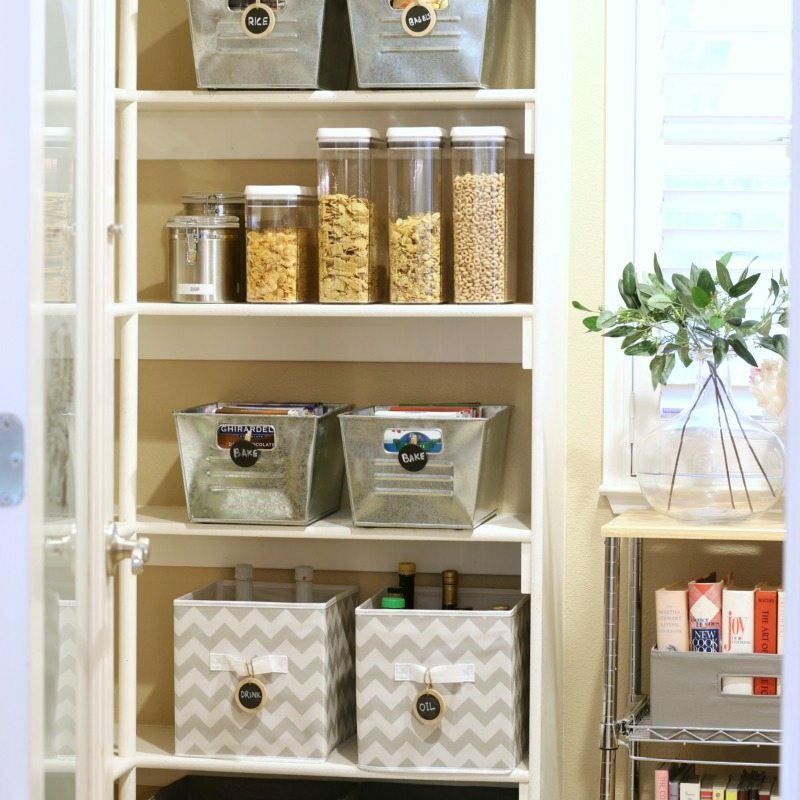 Our Pantry Organizing Project turned out even better than we had hoped! And, we brought you the latest in Instagram Growth Strategies to focus on ways to grow your IG account in 2018. 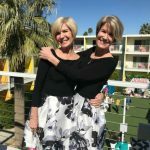 Specifically we share the importance of making your Instagram account PERSONAL and how to do just that! This week from Happy Happy Nester! Hello, I’m Janine from Happy Happy Nester. So, for the new year, I kicked off a few organizing projects. 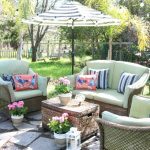 It started off as one project which apparently morphed into another, and before I knew it, I had quickly dismantled our home in one afternoon. I have some crazy talent for creating messes. 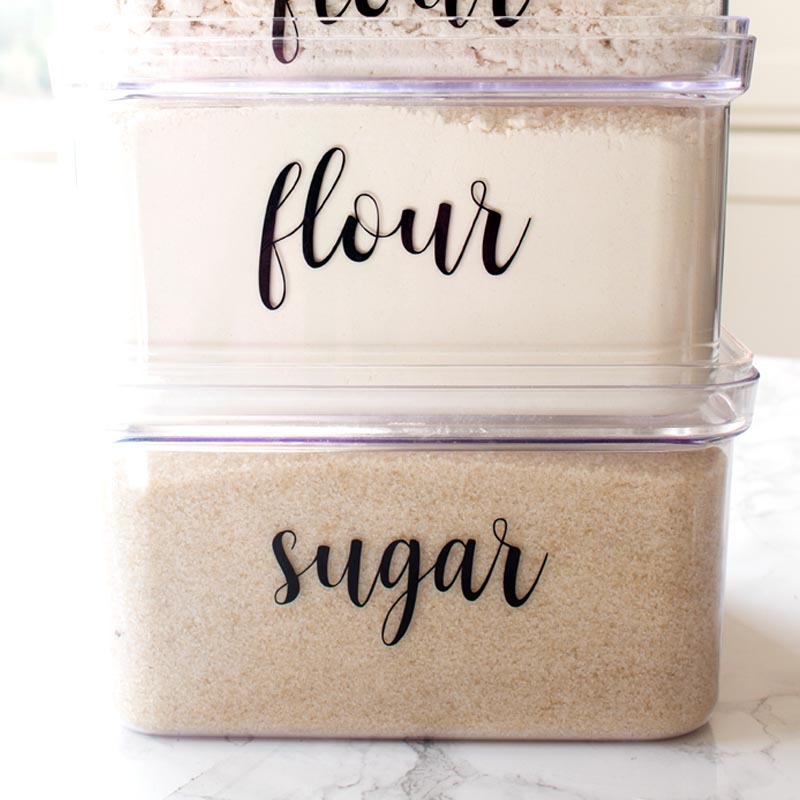 Well, out of this chaos rose these beautiful Kitchen Labels. Come on over for a visit and check out my latest blog post. This week from Modern Glam Home! Hi! I’m Ashley from Modern Glam! 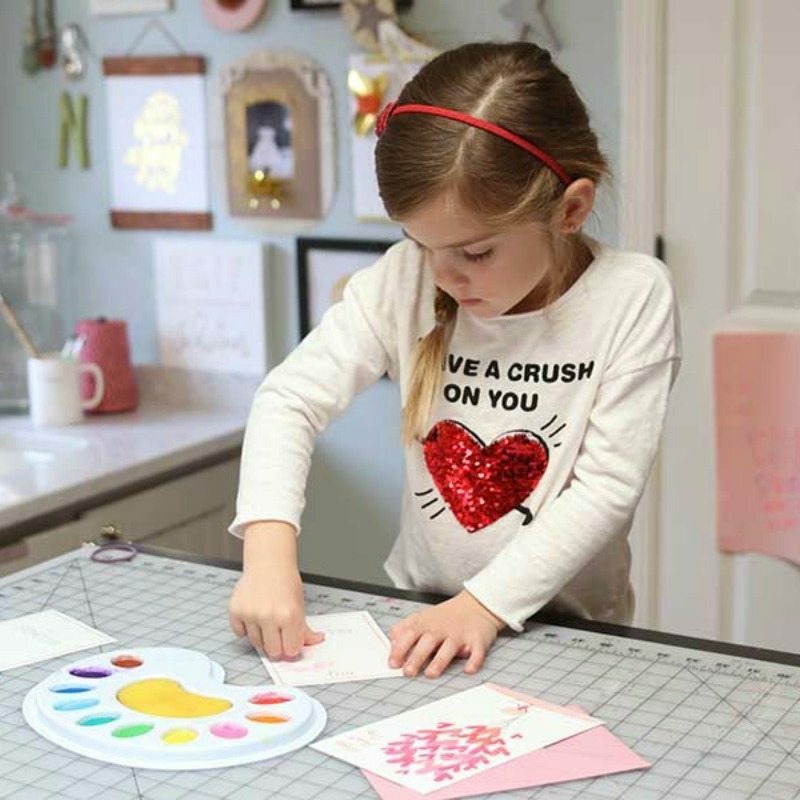 This week I shared a fun Valentine’s Day Kids Thumbprint Art and also a post all about How To Make Your Home Cozy for the Winter. Come on over and check it out! You can also see my everyday happenings over on Instagram. I look forward to sharing more with you! Welcome to the launch party for Friday Friends Parade! This is a link up party for anyone who would like to share their Crafts, decor, DIY and recipes! We hope you will join us every week to share your favorite projects with us! Jodie! This linky party is so fun! Your spring home speaks to me, all the green and flowers! It’s all just gorgeous. This is such a great idea ladies! And I love your spring decor. Makes me itch to get all my greens out! Thanks so much for hosting a new link-up party! Happy Friday! 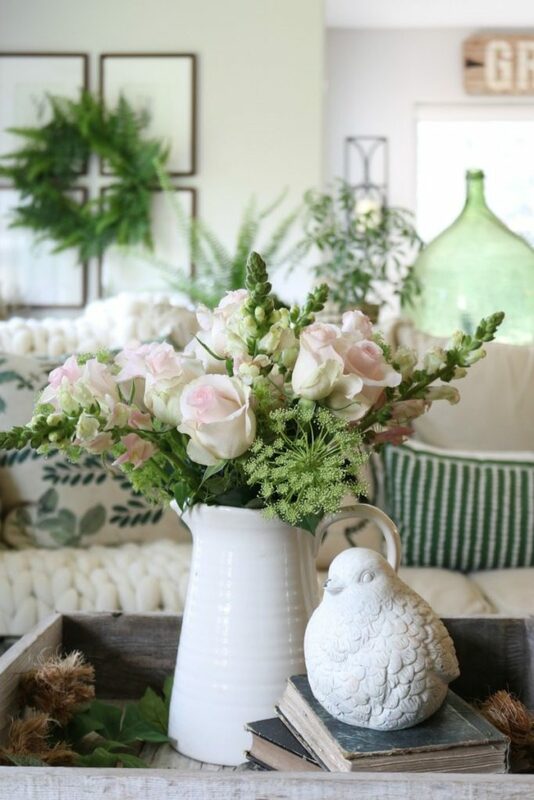 I love all your beautiful spring green touches Jody! Thank you so much Jody and Julie! 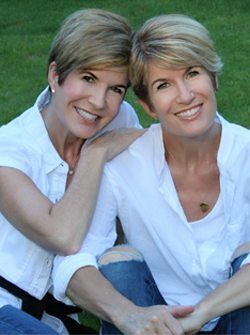 You’re both so inspiring and generous! So much thanks from me and my little blog too!???? Thank you for setting this up, ladies! So kind of you! LOVE all the green (my fave color-family)! I subscribed! Love your story, and that you are bringing glory to HIM! Such a fun party! I love each of the hosts on your own and grouped together it’s just so fab. Plus all the other inspiration. I found a couple new peeps and was inspired! Thanks sweet girls. This is a wonderful thing you are doing! I absolutely love seeing others spreading the love. Your home is beautiful and so is your heart. Thank you!